We designed the array of services offered at Sunshine ADC to bring our members health, happiness, and new experiences to look forward to. Sunshine staff members are always on hand to provide the support our members need to participate in activities and have a great time during the days they spend with us. Enjoying the company of others is one of the main benefits of becoming a Sunshine member. We offer group activities throughout the day, and also provide a comfortable environment where our members can make new friends and spend free time together, whether it’s playing a board game, teaching other members how to play an instrument or crochet, tending one of Sunshine’s gardens, or just chatting over a cup of tea. Sunshine’s Program Director is responsible for planning group activities that emphasize each participant’s strengths and abilities, respond to the participant’s interests, capabilities, and needs and are consistent with each participant’s individualized service plan. 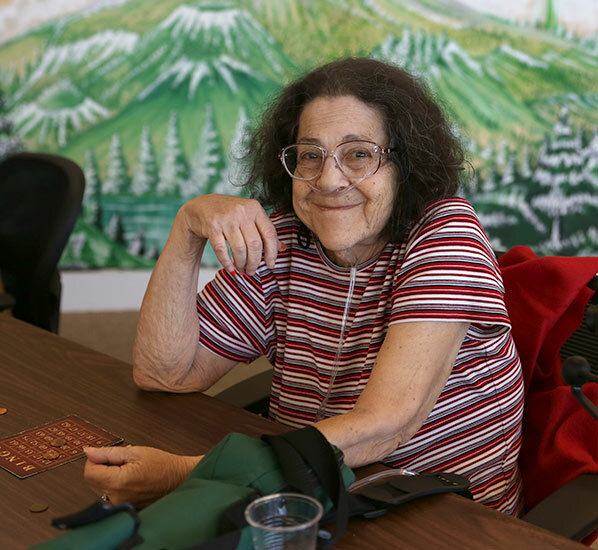 At Sunshine, the daily schedule of activities are geared toward helping participants to establish, maintain, and improve their sense of usefulness, their desire to use their own physical and mental capabilities to the fullest extent, and to strengthen their sense of self respect. Sunshine’s life enrichment specialists are trained in finding creative ways to encourage participants to take part in all socialization activities at their optimal level of functioning and to progress at their own pace consistent with the goals of their individualized service plan. 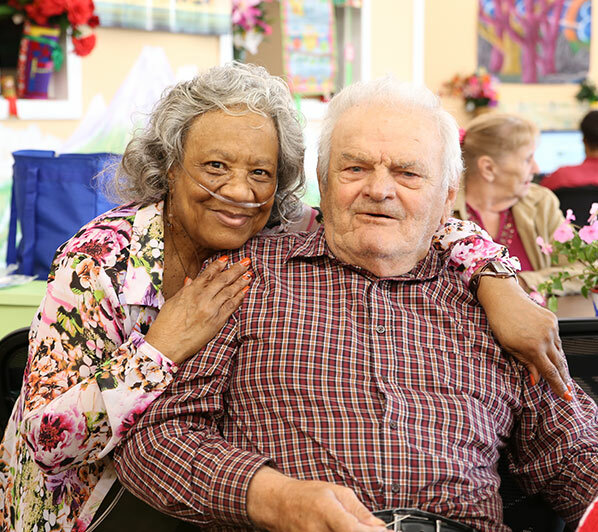 Sunshine’s life enrichment specialists are also responsible for encouraging participants to interact with each other, while at the same time respecting the wishes of participants that choose not to participate in activities. Sunshine programs always have sufficient staff on hand to ensure that participants will receive the appropriate supervision and monitoring they need to provide for each participant’s individual needs. 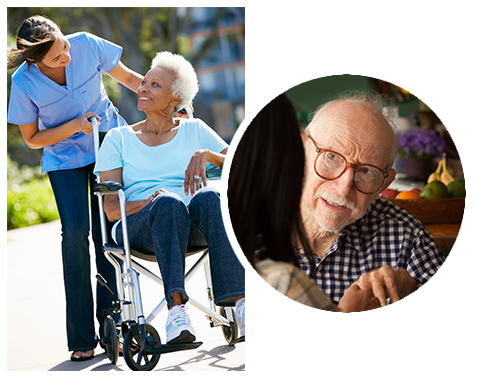 Sunshine’s life enrichment specialists provide individualized supervision, on-going encouragement, direction, verbal or visual cuing, and reassurance to each participant as needed. 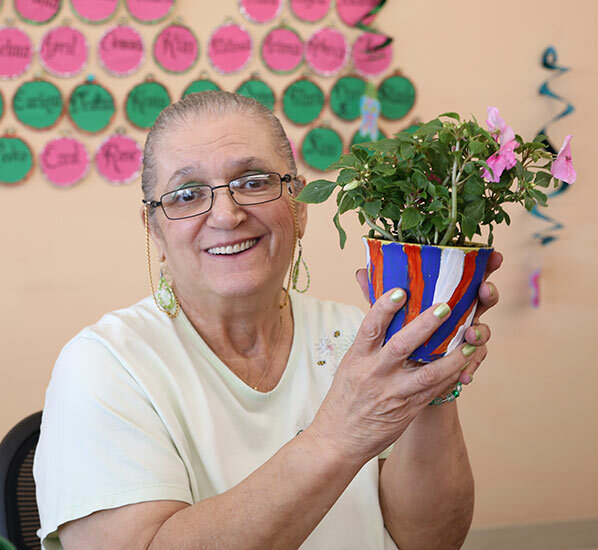 Our life enrichment specialists are trained in understanding the specialized needs of the senior population and are informed of each participant’s unique and individualized medical, social, and emotional needs. Sunshine staff ensure that the personal care needs of each participant are met on a daily basis or as prescribed on the individualized service plan. Sunshine’s life enrichment specialists provide assistance with toiling, mobility, transfers, eating, dressing, bathing, grooming, and medication reminders. Sharing meals together is one of the simple pleasures we enjoy at Sunshine. Each day begins with a continental breakfast, and members order their own lunches from a large menu of tasty and nutritious dishes prepared by local restaurants and delis. Members with dietary restrictions have plenty of options to choose from, and snacks, coffee, and tea are available throughout the day. We provide door-to-door private transportation for all of our members who request it. 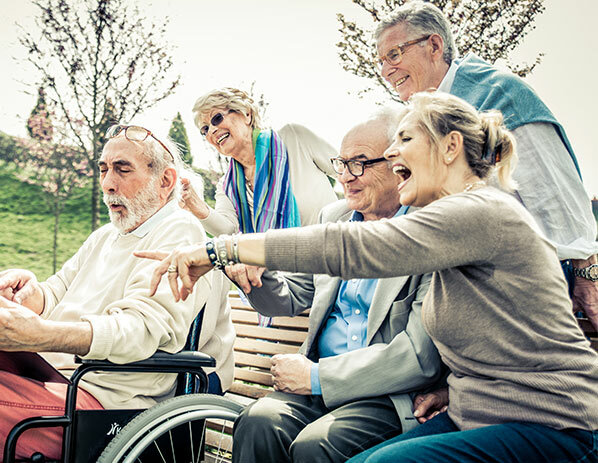 We assist those who rely on wheelchairs, walkers, and other mobility aids, and give our members a safe and comfortable ride to their Sunshine center. At all of our locations, we offer classes year-round in arts and crafts, music, sewing, and computer use. We also invite instructors to come and teach short-term classes in subjects of interest to our members, such as foreign languages. While our regular classes are taught by professional instructors, we invite members to share their skills and knowledge by offering to teach a class of their own. We invite special guests like musicians, magicians, and guest speakers to join us each month, and often take a break from other activities to catch a movie and popcorn. Our members enjoy providing a little entertainment for each other too—each Sunshine center is equipped with a karaoke machine. Our members enjoy going on a day trip together at least once a month. When the weather is warm, we love to have barbecues, lakeside picnics, and fishing trips, and we’ve even gone horseback riding and apple picking. Our winter excursions have taken us to museums, bowling alleys, casinos, and movie theaters. We host parties for many holidays, as well as other events that are open to the community. In the spring, our members sell crafts that they’ve made throughout the year at our craft fair, and members who take music classes give a performance at the end of the year. We offer classes in tai chi, yoga, and Zumba for seniors, as well as acupuncture, meditation, and reiki. Members who face physical challenges can help maintain and even improve their abilities by participating in physical games designed to promote coordination, balance, and mobility.